For Patient Consultations. 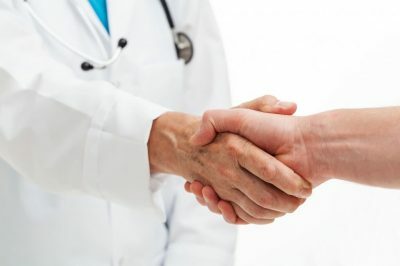 We participate with almost all health insurance plans including Medicare,Tricare, and many HMO programs, and will be glad to submit all the appropriate paperwork. Each plan may have its own copay which would be due on the day of service. Purely cosmetic surgery consultations are $75 and will be complimentary if the surgery is scheduled and completed within 3 months of your initial visit. Botox, Xeomin, Fillers (Restylane, Perlane, Juvederm, Radiesse, etc), and light facial peels can usually be done on the same day as your consultation. Financing is available through CareCredit. For more information, click on the CareCredit Button. You can email us at our secure email address [email protected] to request an appointment and/or request information. Patient Consultations: Our Policies regarding Patient’s Rights and Privacy are below for your review. We recommend that you print, complete, and bring with you the Patient Information Sheet, Patient Medical History Form, Acknowledgement Form, Record of Disclosures Form, and the Statement of Patient Financial Responsibility Form (see below) so you can be ready for your appointment. Make sure you bring your insurance card(s) and any necessary referral with you. We look forward to meeting you! Aetna(all), Anthem BCBS(all), BCBS(all), Carefirst(all including Blue Choice), Cigna(all), Coresource, Coventry(all), Federal Employee program(all), GEHA, Golden Rule, HealthNet, Humana(some), Kaiser(some),MHBP, Medicare, Multiplan(all), PHCS(all), Tricare(all), United Healthcare (UHC)(all), and most other plans(call for information). We would be glad to verify our participation if you contact our office. Plastic Surgery procedures that may be covered by your health insurance plan include breast reconstruction, breast reduction, surgery for difficulty with nasal breathing, hand surgery, scar revision, facial trauma, plastic surgery reconstruction for congenital and/or acquired deformities, and the removal of almost skin lesions. Unfortunately, no absolute guarantee of coverage can be given for any specific plan. Our office will gladly submit all appropriate paperwork for you.